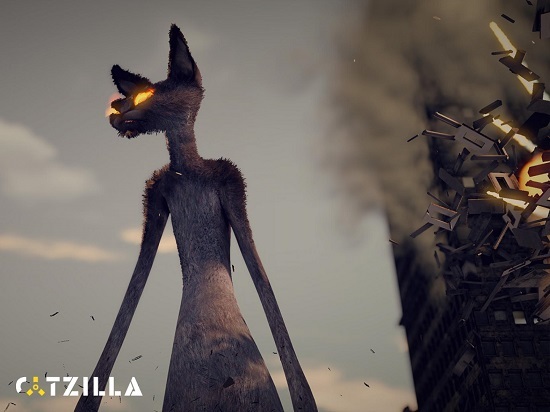 Catzilla is a relatively new benchmark that is made the Polish demoscene group Plasticis. something we are using for that reasonis being produced in collaboration with Polish post production company, Plastige. Plastige is the company that worked on Witcher 2 Enhanced Edition and some of the developers there were behind the PlayStation Network game Datura. The benchmark uses a parallel graphics engine that takes advantage of multi-core CPUs. This isn’t a benchmark being made in some kids basement and it doesn’t appear to be bought off by any companies yet, so it should be a good benchmark to use. While this benchmark is in beta phases, we still have found that Catzilla is a good cross-API benchmark. You also can’t go wrong with a benchmark that has a giant animated cat nuke cities with its laser eyes as you do. You can watch a video of the benchmark in action below. We purchased Catzilla Advanced and ran the full Catzilla benchmark at 2560×1440. This 1440p benchmark is designed for high-end computers, which is perfect as that is where these video cards are going to end up! 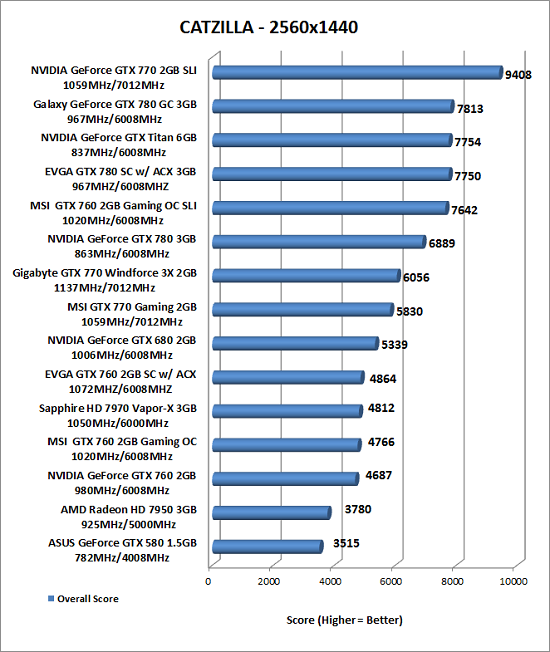 Benchmark Results: The EVGA GeForce GTX 760 2GB Superclocked w/ ACX Cooling scored 4864 points in the 1440P benchmark, which is just 9.8% slower than the NVIDIA GeForce GTX 680 and 3.8% faster than the reference NVIDIA GeForce GTX 760 card.